Now that&#39;s a video game tattoo done right. Now that's a video game tattoo done right. 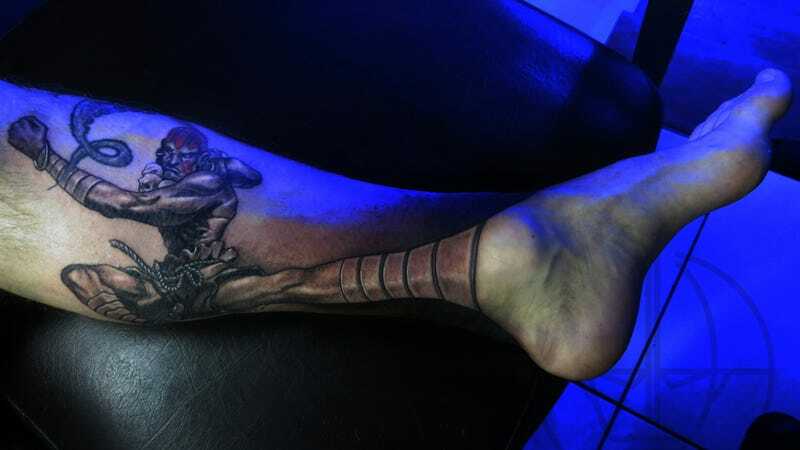 Dhalsim from Street Fighter, becoming one with its owner's leg. Hopefully it looks just as cool from angles other than the one in the photo.